How in the world did anyone manage motherhood without the endless advice of the internet? It’s not just the mommy bloggers like yours truly. Even the experts are online now, quoted in online magazines, news columns, and other articles. Parents, and mothers in particular, have been deluged with advice for decades, and now it’s at our fingertips. While information is a good thing–how can we make educated decisions if the information is not available?–there is also a problem of too much information from too many sources whose veracity and authority run from unimpeachable to highly questionable. In the long run, this overflow of information has cause more stress and unhappiness than it has fixed. Happiness can be simple, but don’t confuse that with easy. When my oldest two or three were young, and certainly while navigating the teen years with my step-daughter, I second-guessed every decision I made. No matter what I chose, it seemed wrong. Was breastfeeding good? What about extended breastfeeding? I had to go back to work–what if that scarred her for life? Was my teen sneaking out? Would I know if she was? Did I want to know? There are at least a dozen answers to each question. That doesn’t even address questions about self-care. Do I need me-time? Is it selfish to want a quiet walk with the dog? What if I just don’t want to do the dishes tonight? And the answer is . . . I don’t have a pat answer. But I do have some advice to–hopefully–help you keep your sanity. First: Do not fall into the comparison trap! Comparison is the death of joy. In our first few years of homeschooling, my oldest struggled with reading. She would sound out a word–painstakingly–and on the next line, she would have to sound it out again. At the beginning of second grade, a simple, six-sentence paragraph took her 45 minutes to work her way through. When a child in public school has this problem, people either blame the school, assure you it will work out eventually, or recommend special education testing. If the child is home schooled, people assume that the parent, as the teacher, is deficient or lazy, or both. When a friend posted about her son, who was more than two years younger, reading his way through chapter books, I cried. Compared to her and her son, I felt like my daughter and I were such failures. This is not just a homeschooling problem, by the way. Moms worry about when to potty train, when their baby sleeps through the night, weans, or walks. If their child isn’t walking or talking as quickly as someone else’s, the worry starts in. Comparing and worrying put the focus of our parenting on achieving outcomes. They encourage us to overlook the individual needs and achievements of our children. How different it is to look back at those reading troubles now, knowing that my oldest is dyslexic. Now I can thank the internet for giving me information and resources that helped me work with my child’s neurological differences. But it didn’t start with research It started by not comparing her to anyone else and paying attention to what she could and couldn’t do. Your children are yours, and you know them better than anyone. Comparing them to others might help you realize that there is a problem, but it should not ever affect how you view their worth or your own. That way lies misery. Second: Choose to have realistic expectations of children and motherhood. One night while pregnant with Miss Bug, our third child, I had an epiphany. I’d like to say it was an amazing moment, but really, it was accepting that my expectations had been unrealistic. Our oldest, the Ballerina, was 4 and our next oldest, the Engineer, was two. The Ballerina would be up two or three times a night with night terrors or sleepwalking, or both. The Engineer was going through a period of night-waking too. To say I was tired was an understatement. I was neither patient nor gentle when they would wake me up. One night, a new thought wended its way through my tired mind. Why in the world did I expect a complete night’s sleep? Who in their right mind thinks they are going to get a good night’s sleep with a a two-year-old and a four-year-old in the house? It seems simple (and a little stupid) now, but I needed that realization. Once it hit me, I also had to admit that I was the adult, and I could react kindly, even if I was annoyed by yet another round of sleepwalking. If I set my expectations for my children impossibly high, of course I will be frustrated or disappointed. If I recognize that a three-year-old is naturally willful and needs to learn to do as he is told, it is easier to respond to him in a appropriate way. The same goes for all the tasks that accompany parenthood. There are so many evenings when the last thing I want to do is cook dinner, or clean up after it, or pack everyone up to take one child to an activity. Again, I can choose how I approach the situation. I can grump my way through it, procrastinate, and increase my stress by being late and doing a poor job of it. On the other hand, I can accept that I need to do it, plan for it, and make things run as smoothly as possible. No one else is going to make dinner, wash that laundry, scrub that pan, or take someone to ballet. I can put it off, but house elves will not appear to clean my house. It’s about having realistic expectations of life, and then planning for what I know is coming. We can choose realistic expectations of our children. When the little people in the house need help from the big people, I can choose to help cheerfully. My choice of reaction changes the tenor of the whole household. Things change as children grow, of course. It is not unrealistic to expect my biggest children to put away laundry and clean their rooms. But it is also not unrealistic to expect them to want time sitting with Mom and Dad. I can be caught not knowing what to make for dinner, or I can make myself plan the meals for a week every weekend. Realistically, I know I will want a plan later. 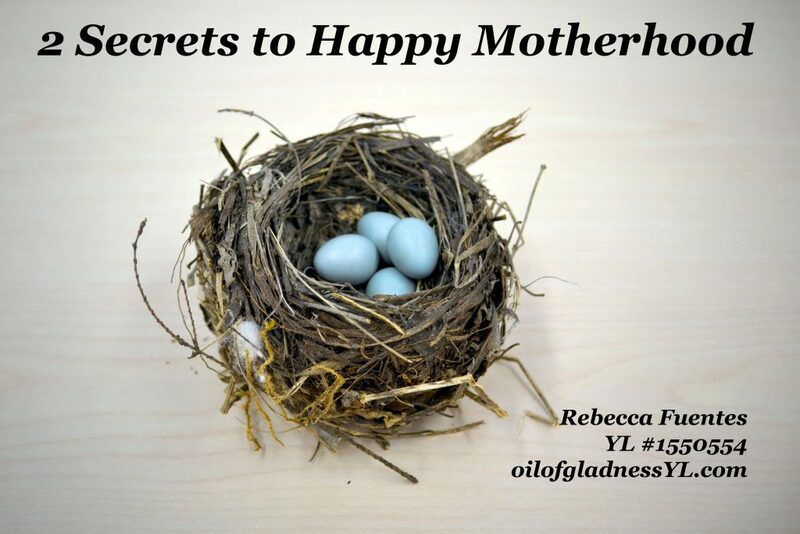 Motherhood requires pouring ourselves out over and over, sometimes constantly. But it isn’t like being a jug, that runs dry. It’s being a fountain, that pours out without running dry. We make the choice which to be. I will admit, these might not magically transform you life like a makeover show transforms a house. It won’t make cleaning the shower any easier or the mountain of laundry any smaller. But I hope it will help you face these without feeling guilty because your mountain is bigger than your friend’s. Your mountain is yours alone, just get going on it and wash it to the best of your ability, with cheer. No one else will. Previous Post Why Live Toxin-Free?